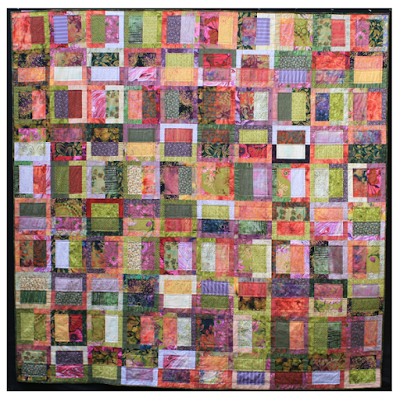 Welcome to the show notes for episode 43 of The New Zealand Quilt Show. 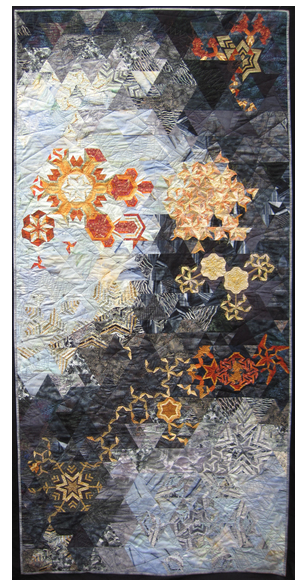 Marge Hurst, quiltmaker, teacher, author and judge, has been quilting for nearly 35 years. She began the craft while studying for her City and Guilds of London Embroidery Certificate as it was part of the curriculum. 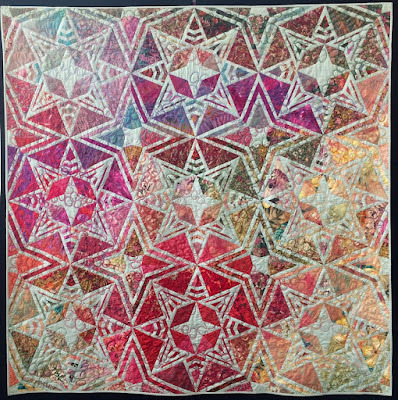 Unfortunately for embroidery, quilting won out and once her certificate was completed (with distinction) embroidery was shown the door and patchwork became Marge’s first love. 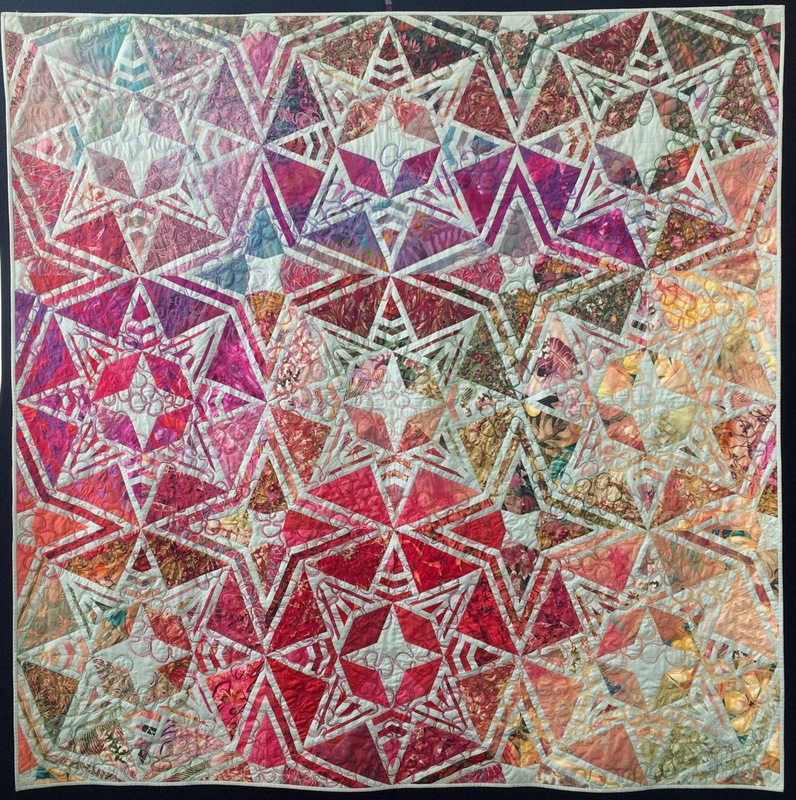 Marge has had her quilts exhibited widely and won many awards, including having a quilt accepted for Quilt National 1995, winning the first ever best of show in the NZ National Quilt Symposium, and having three solo exhibitions. 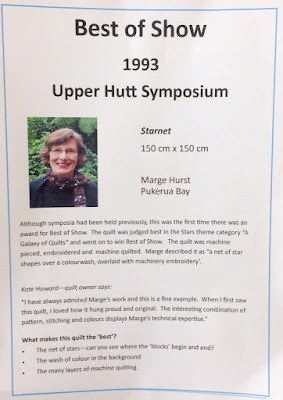 Marge has taught all around NZ and internationally, she is a respected quilt judge and she has also written numerous articles for NZ and international magazines. Her quilts have been published in books and she recently starred in a NZ TV show, Hearts in Craft, where she talked about and showed her quilts. Marge was awarded life membership of Aotearoa Quilters in 2009 recognising her contribution to quilting in NZ including being a founding member of AQ (then NANZQ), committee member for 6 years, 4 of those as president and newsletter editor. Marge and I talk about the history of quilting in NZ, the birth and growth of Aotearoa Quilters, and quilting groups on the internet and the influence they've had on the quilting community. 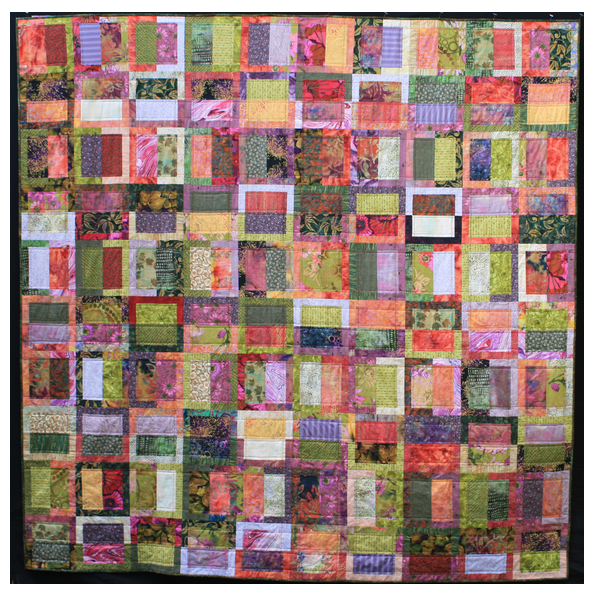 We discuss Marge's style of quilting, including how colour is her biggest motivation and she gives us some tips on how to develop colour confidence. We also learn what colour puce really is! 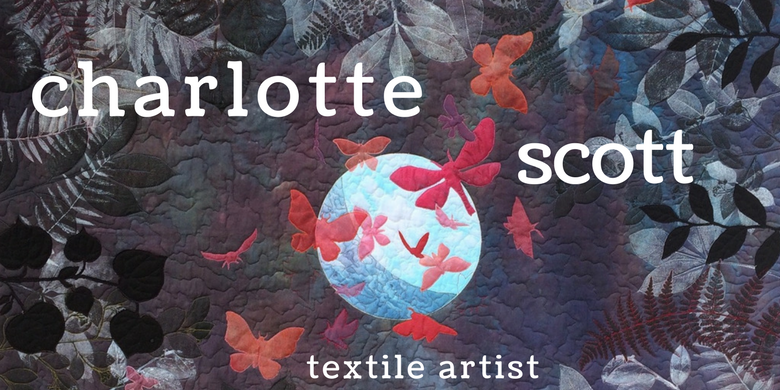 Marge is teaching at this year's National Quilt Symposium in Christchurch. Her two-day class 'Colour Your Craft', has a few vacancies left and if you would like to develop your colour theory and intuition, this would be the class for you. Thanks for chatting with me Marge! Thank you to everyone who supports this podcast and helps me tell the stories of our quiltmakers, artists and professionals. If you would like to support me, head over to iTunes and leave a five star review, pop over to my podbeanhosting site and leave a donation, or consider advertising your business by sponsoring an episode. Most importantly, tell a friend about The New Zealand Quilt Show and how to listen. Email me at theslightlymadquiltlady@gmail.com Cheers!